After I started decluttering my home office, I didn’t stop there. I couldn’t. 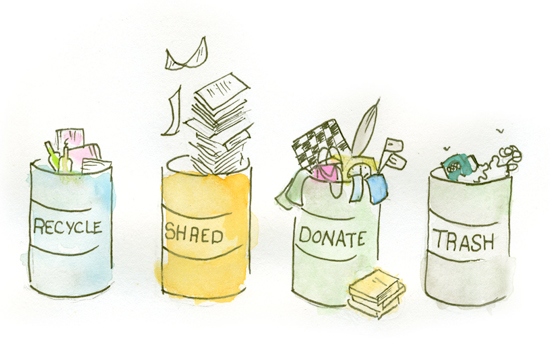 I was powerless over the urge to purge—clutter, that is. Laundry day was the additional catalyst. I tried to cram the folded clothes into my dresser drawers without success. 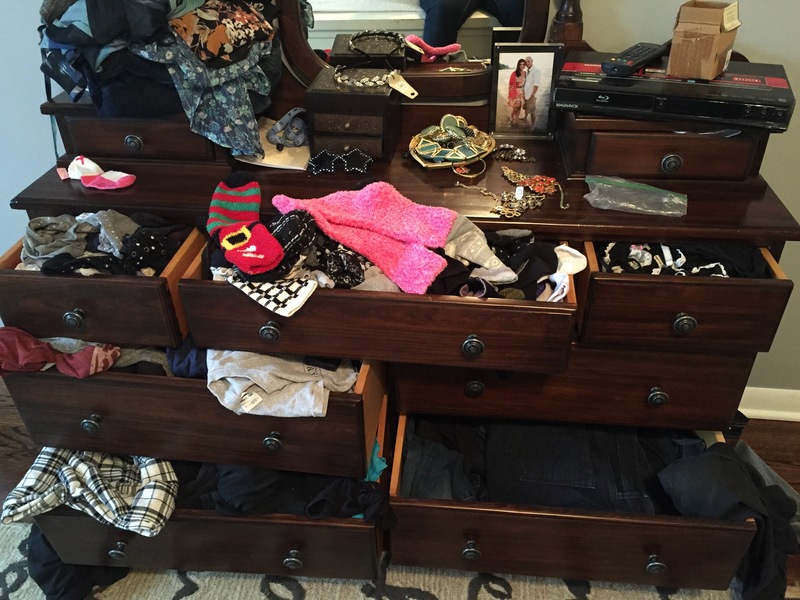 Frustrated, I went through drawer after stuffed drawer, pulling clothes out to rearrange them to make more room. I emptied two drawers first that were mostly filled with old, stretched out socks I no longer wore, but it only held a few new ones. 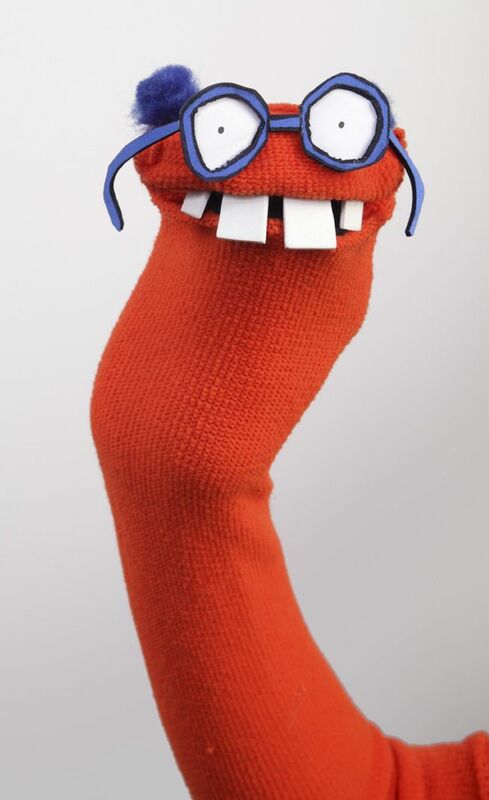 Only a centipede would need that many pairs of socks at one time. I tossed out the old socks, the first of many items that were purged. I suppose I could have repurposed them by making sock puppets, but I know myself well enough to be certain I would never get around to doing it. As I peeled back each layer of clothing and removed them from each drawer, I couldn’t believe the age of some wardrobe items—especially those on the bottom layers. Some garments were very small, too small for me to ever wear again. Size seven, me? Maybe half of me might fit into a size seven, but all of me? Oh, please. Those small garments were also old. They were very old. They were freaking ancient, not to mention no longer in style. Seeing them again made me feel as if I were time traveling to my youthful past. The clothing in excellent and very good condition in size S, M, and a few smaller cut Ls, went into the donate pile. The rest would make a one-way trip to the local landfill. I found the most entertaining discovery of all in the swimsuit drawer. The sizes of the suits decreased as I lifted each one out. At the very bottom, shoved all the way to the back of the drawer, I unearthed a suit I hadn’t seen in many, many years. 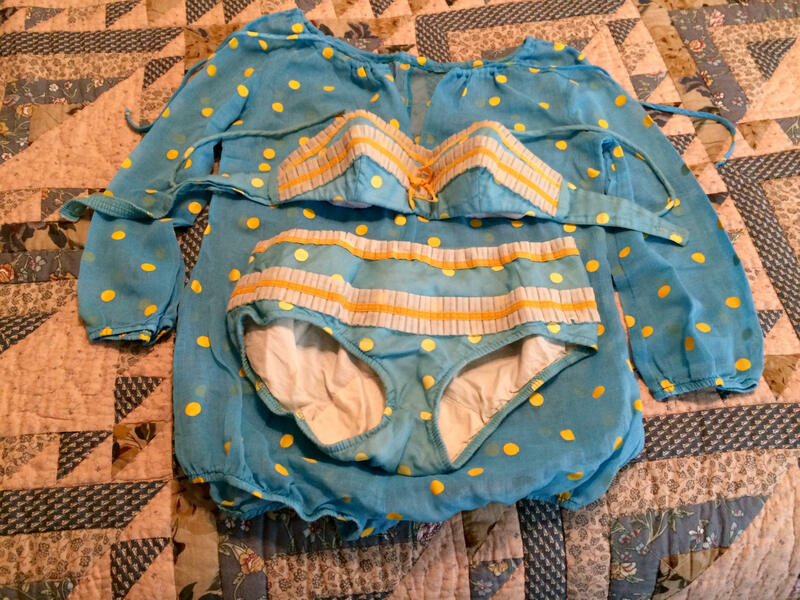 I could hardly believe my eyes, but there it was in all its wrinkled glory—my honeymoon bikini and matching romper cover up. That definitely took me on a nostalgia trip back in time. 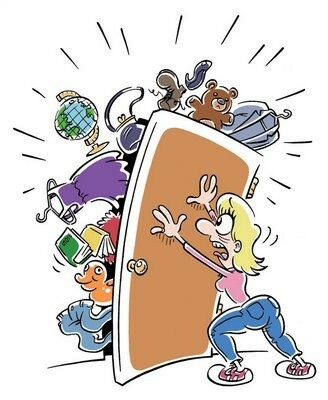 I’ll be tackling my overcrowded closets tomorrow. Heaven only knows what ancient relics I’ll find lurking there. Good for you! The decluttering virus must be spreading. I’ve been making weekly trips to donate stuff! I’m shooting for one box a day this month – so far I’ve been keeping up!